Because if you spend a lot of time into building something stunning and you want other people in public to see this than it´s much easier for them to login with their already created Facebook login files than to register again on your site and remember another keyword. You convinced me. What do I need? 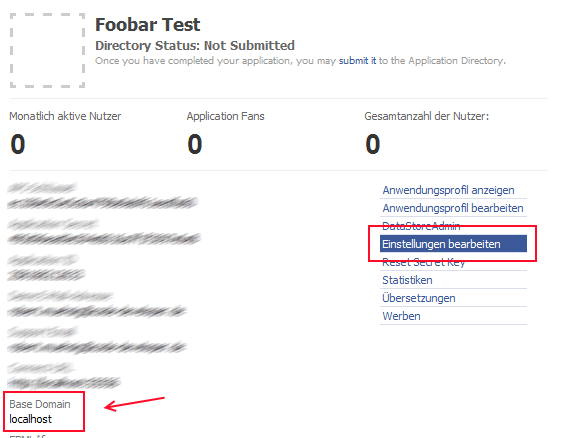 At the bottom of the Facebook page you will found a link named "developer". Here you need to create an application. Than you need to enter a name and a URL. The API keys of Facebook are mapped on a URL. In conclusion you need to fix the port in visual studio according to the web server (In my example it is 55555) or you use the IIS. Ignore the second step. I´m going to talk about this later. 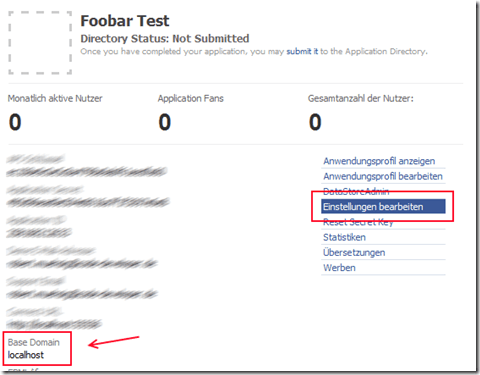 Now you are able to see your application on the "Developer dashboard". Please delete the base domain in the connect tab. 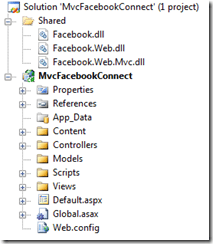 The Facebook Developer Toolkit is a .NET OpenSource wrapper around the REST APIs from Facebook. Microsoft supports this. 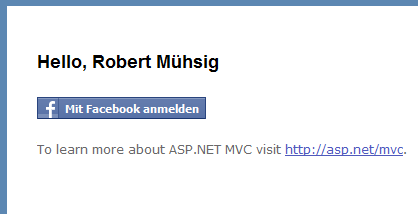 Unfortunately there are several other .NET APIs but for now this is the easiest way. We need the SDK Binaries . 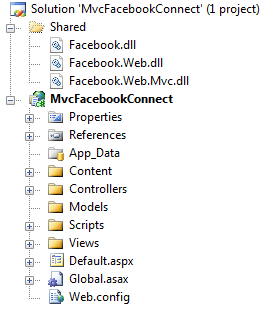 Of course we need to reference the 3 Facebook .DLLs. I add both the keys to the web.config. 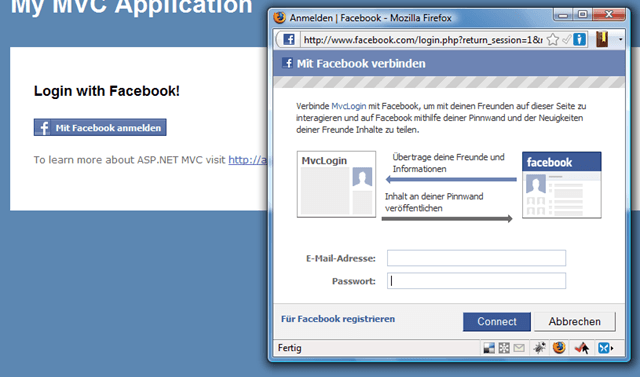 That´s the file facebook already offer to us during the registration. With this file you are aloud to connect via AJAX to Facebook. I stored this xdReceiver file into the home folder and I also created an xdReceiver action to render the view. 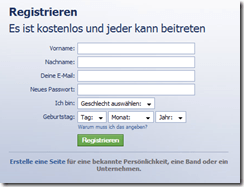 The last step is to control if the user is signed in successfully ore not. 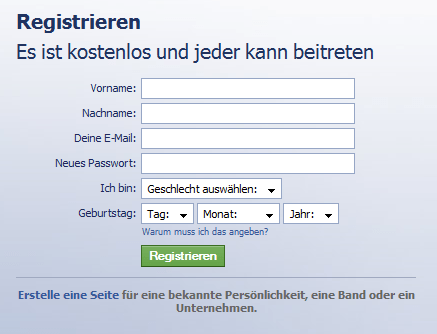 If the user is already signed in with facebook his username will be shown. 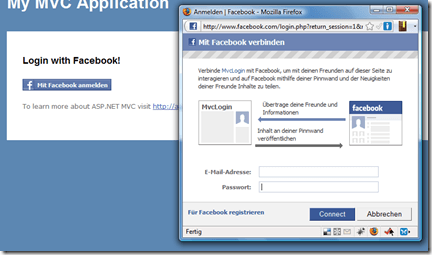 Otherwise the "Log in with facebook" sign will appear.